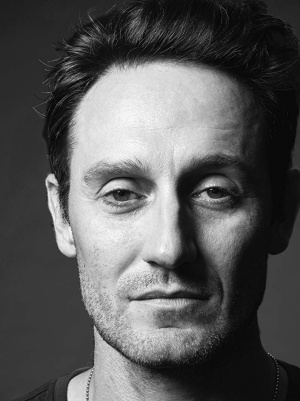 Ten Burning Questions For Criminal Minds' Own Will LaMontagne-Josh Stewart! Ten Burning Questions For Criminal Minds’ Own Will LaMontagne-Josh Stewart! He’s played JJ’s husband Will since the second season, and now he’s the writer/director/lead actor of the film Back Fork – a bluntly raw and provocative look at opioid addiction in a small West Virginia town. The movie opened April 9, and also stars AJ Cook! Josh was kind enough to speak here about the film, as well as answer a few questions about what may be in store for Will come season 15 of CM. TJ: Hi Josh, and thanks for taking the time to speak with me today. We Criminal Minds fans first met you as Detective William LaMontagne Jr. in the season 2 episode “Jones”, where we also see him interact with JJ for the first time. Had you any idea at that point that Will would become integral to her life, and to the show? JS: Nah, that was never the plan. I came on to do one episode and that was it. Ed Bernero, who was the showrunner, was my boss on “Third Watch” and wanted me to come and do one and later they didn’t want to write around AJ’s pregnancy so they brought me back for it to be part of the story line. TJ: Spouses and significant others attached to our team don’t seem to fare overly well. While so far he’s managed to dodge any permanent damage (though he almost did get blown to smithereens, and of course was shot in “Hit/Run”), if Will’s story were to come to an end, how would you want to see it play out? JS: I’m not sure. I’ll leave that to people smarter than me. I’m not up to date on the ins and outs of all the stories happening. But, I don’t think anything will happen to Will or it already would’ve happened. TJ: I’ve got to ask – what was your reaction to JJ’s reveal to Spencer in the CM season 14 finale, how far in advance did you know about it, and what will Will do? JS: I knew nothing about it. My role in the show is pretty in and out, so I’m not involved with a lot of it on a regular basis. I had no idea till about a week before. and as far as Will is concerned, he wouldn’t take too kindly, I don’t believe, but would also be understanding. Will’s not the type of person that would like to hear that. He’s a southern man. There’s rules. There’s a code. I think he’d try and be as understanding as he could though. But, I’m not sure it would be pretty. TJ: We know that you hail from West Virginia. How did your background inform your decision to move forward with writing, directing, and starring in Back Fork, your film that releases today, April 9? JS: Well, I guess we write about what we know right? I know the land, I know the people, I know the stories. The people there have hearts of gold and I love writing about it. And it’s an excuse to go home for a bit. TJ: Criminal Minds fans are excited to see AJ Cook cast as your wife Nida in the film, and advance reviews have been overwhelmingly positive. How did it work out that she was able to join you on the production? JS: I’ve known and worked with AJ for so long that there’s a familiarity with the way we work. That just makes for a comfortable and safe working environment when it comes time to shoot. Also, with this subject matter, and the nature of Nida, I needed someone that the familiarity would come across without seeing scenes of that in the film. There’s not a lot of happiness between the two of them. They care for one another, but the happy times are gone. TJ: How are Waylon and Nida most different from Will and JJ? What are their similarities, if any? JS: Like any relationship, they love each other, but life has banged them up. I’d say Waylon and Nida aren’t equipped, like anyone, to deal with the circumstance they’re living through. I’d say they’re most different in what they’re living through. Loss on a catastrophic level. Circumstance. But, their core, it’s the same. A relationship rooted in love. TJ: Have you taken on a project of this size and scope before? How has the subject matter affected your life, personally? JS: This is my second film that I wrote, directed, produced and acted in. So it’s not normal, but it’s not my first rodeo with it. I don’t know anyone that addiction hasn’t touched in some way. Everyone has a story, whether it’s personal, a family member, friend, someone in the community. It’s become commonplace. TJ: Do you anticipate Back Fork will create a larger awareness of the widespread opioid addiction issue afflicting this country, especially in your home state? JS: I’m not sure it will increase the awareness, but maybe it’s a conversation in a different way. Picasso said “Art is the lie that enables us to realize the truth.”, so maybe with a story, it’s just another way to further the conversation. TJ: In drawing attention to and in educating more people about this very real and severe problem, do you believe that more help will become available to the folks and communities that are suffering? JS: We can only hope right? But, the longer I’m around, the more I realize I don’t have the answers. My hope is that we don’t stop talking about what’s happening. And don’t stop talking about it in a real and blunt way. We can’t shy away from what’s happening. From what’s really going on. TJ: What can we the fans, or anyone who is moved by the film, do to help? JS: Whatever we can. Whatever we’re led to do. It’s tough to say, but we can all be more compassionate and loving to everyone, especially those in need of help. 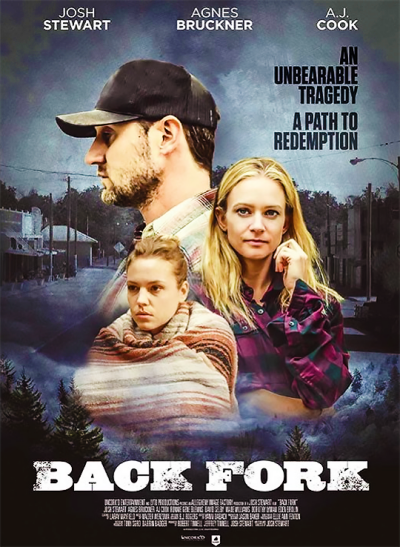 Back Fork is available on all VOD platforms including iTunes, Google Play, Amazon Instant, and XBox. Check it out today! ← *EXCLUSIVE* Ed Bernero Shares His Take on Criminal Minds’ Legacy, and Future!